After rumors started swirling around a few days ago, Apple has confirmed to BuzzFeed News that it is indeed buying the music-recognition app Shazam. The acquisition price was not revealed, but is reportedly around $400 million. That’s a far cry from the Shazam valuation of $1 billion the company was claiming in its last round of fundraising (in 2015), but the world of streaming music services has evolved since then. Just what could those plans be? It’s anyone’s guess, but in the short term, we expect Shazam to continue its availability across multiple platforms. As for Apple, Siri already integrates with Shazam—you can ask Siri what song is playing, and get a result powered by Shazam. There’s a Mac app, too. A great first step for Apple would be deep integration into iOS. Consider the Pixel 2’s awesome Now Playing feature, which constantly listens to background music and shows the current song on the lock screen. It does this all on-device, using a database of song profiles for nearly 20,000 of the most popular songs. It’s a delightful feature that Apple could replicate with Shazam’s engine. Shazam likely has some useful foundational technology around abilities like pattern matching and ignoring noise that could be useful to integrate into Siri and other products. And let’s not forget that HomePod is on its way. What if HomePod could listen to your TV or other ambient audio and automatically produce a list of all the songs you heard when watching your shows each day? As with the Pixel 2’s Now Playing feature, it could do this with an offline database to protect your privacy. The impact on you at home: Shazam and Apple already enjoy a great relationship, and this will allow Apple to fully integrate Shazam’s technology in as many products as it wants. 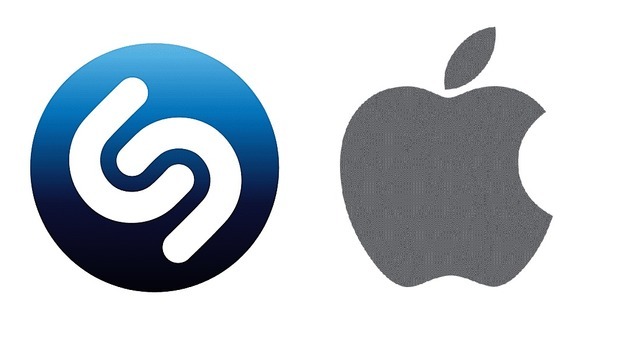 It’s a big win for Apple’s ambitions around music, but it will be just as interesting to watch what Apple does with Shazam support for other platforms. Will the Shazam app eventually drop Android support?